Upgrade to LOLLIPOP on Samsung tab3 7"
Hi, my son has the Anki Overdrive game and needs the app to control the cars. His tablet is a Samsung tab3 7", currently on android 4.4.2 and says the app is not compatible with the device. I believe it's just the android version though which red to be LOLLIPOP. Can I upgrade to LOLLIPOP on this device and how do I do it? You'll need to go the 3rd-party ROM route, Samsung never released an update to Lollipop for that device if sammobile.com is to be believed (and it's pretty reliable). 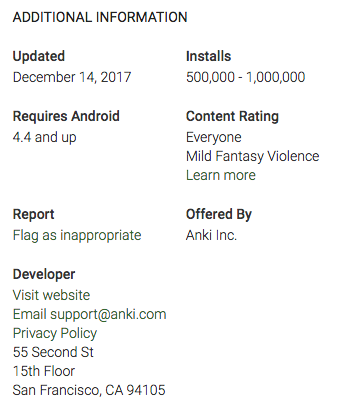 However, the Anki app says it's compatible with Android 4.4 and up so it SHOULD work, there's something else preventing it from installing. Ah ok so where do I start? Make sure your Google Play Services framework is fully up to date (this should be automatic). Both of my devices (one on Nougat and one on Oreo) are on 11.9.51. Next, I'd try reaching out to Anki, Google and Samsung - either the app isn't properly detecting the OS version, the Google Play Store isn't properly detecting the OS version or the device is reporting the wrong version somehow. Unfortunately, they all may point the finger at another entity and you'll get no real resolution. In fact, Samsung may be reluctant to support the device due to the age (it's now 4? years old). Using Amazon app store instead of Google play, I was able to download to app. The app starts up and runs fine, logs into my son's Anki account etc, but won't detect the cars so they can be selected!